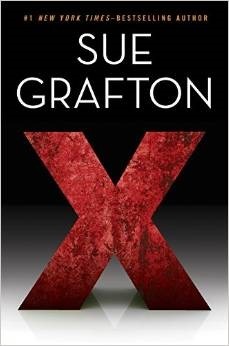 X by Sue Grafton is a very highly recommended 24th book in the series featuring private investigator Kinsey Millhone. I've read almost all the books in the series with the exception of the ones published in the last couple of years. It was great to have my memory jump-started on why I originally liked the character of Kinsey Millhone so much. A large part of that enjoyment is due to accomplished writer Sue Grafton's ability to present a complex plot and bring it to such a satisfying conclusion. Even if this is your first introduction to the series and the characters, I think you are going to enjoy X. In a change of pace, the titular "X" stands alone. 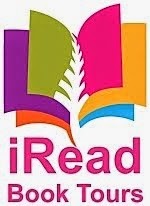 It could stand for several characters or words in this novel set in 1989 in Santa Teresa, CA. There is a drought and landlord Henry Pitts is busy trying to get their water consumption under control. Kinsey has met with a client, Hallie Bettancourt, who wanted her to find the contact information for Christian Satterfield. He's recently been released from prison. Hallie claims he is the son she gave up for adoption at age 15. Kinsey easily finds out the information only to discover, after she's passed it on, that Hallie is not a real person and she's paid for Kinsey's services with marked $100 bills. At the same time she is trying to help her friend Ruthie Wolinsky go through a box of paperwork/files of her late husband to find some files for the IRS. Pete Wolinsky was also a PI and was shot during a robbery a year ago. Kinsey is sure he was crooked, but she likes Ruthie, so she is trying to help her. While going through the files she discovers a false bottom in the box that contains an envelope addressed to someone else and in the files a sheet of paper written in code. Kinsey inevitably ends up trying to finish/solve the case the Pete was working on before his death, which becomes much more dangerous that she ever would have imagined. This makes it sound simple, but everything going on in Kinsey's life is always much more complex than the initial situation would suggest. Sue Grafton is an exceptional writer. Not only does she provide us with another complex plot and several cases to solve, she imbibes the character of Kinsey with wry humor and insight into human behavior. This is a win/win situation: great writing and plot. Now that I have been reminded about how good this series really is, I need to go back and get the (few) letters I missed in the alphabet series.